Almost every two minutes, someone is injured in an alcohol-related accident. In 2011, 9,878 people died in alcohol-related accidents – more than one person an hour. Every day in the U.S., another 27 people die in alcohol-related accidents. In 2013, 121 children died in alcohol-related accidents as the passengers of drivers who were over the 0.08 percent blood alcohol level limit. 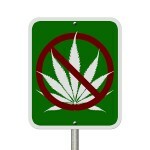 More than 1.2 million drivers were arrested in 2011 for driving under the influence of alcohol or drugs. More than 300,000 drive drunk every day. Fewer than 4,000 are taken into custody. About 27 percent of the drivers charged with DWI in the U.S. have prior DWI convictions. Two out of three people will be involved in an alcohol-related accident at least once. In the United States, DWI is more frequently charged than any other crime. 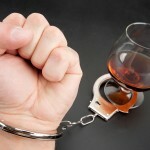 If you face a DWI charge in southern California, whether it’s now or in the future, whether it’s a first offense or you have prior convictions, and whether it’s a misdemeanor or a felony, get the legal help you’re going to need and contact an experienced California DUI attorney based in Orange County immediately.